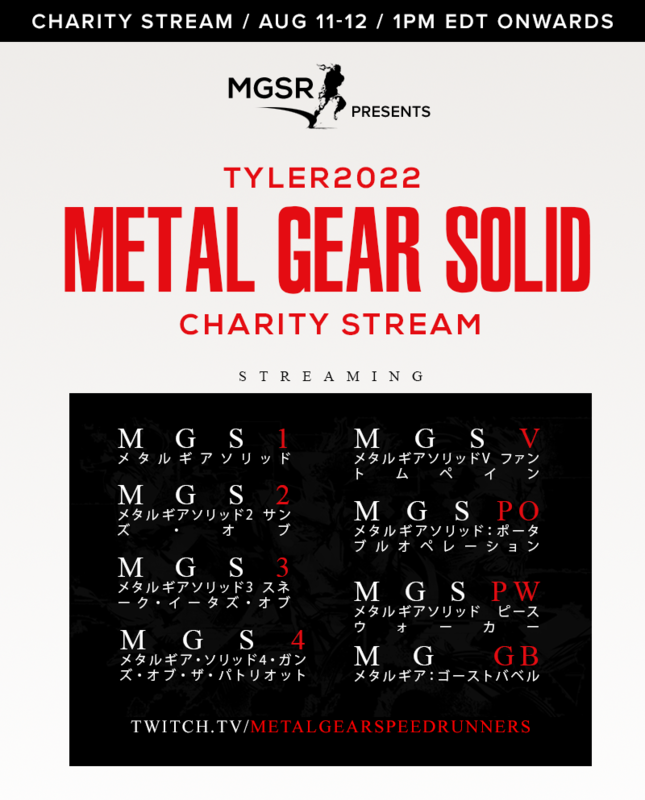 Metal Gear Speedrunners is proud to support fellow speedrunner and community member Tyler2022. We are raising money for Tyler’s family for funeral costs. For the full schedule, please go to https://horaro.org/tyler/schedule !